Iraq is a desert wonderland located in western Asia. Iraq’s population of 36 million citizens include Muslims, Christians, Yarsani, and Yazidis. Iraq is covered in exquisite natural beauty, and is also known as the Cradle of Civilisation - owing to the ancient Mesopotamian cities. Popular attractions include the Al-Shaheed Monument in Baghdad and Sayab's house ruins in Basra. Cheap flights to Iraq are now available for a limited period of time, so prepare to be amazed by all that this country has to offer! The capital city, Baghdad, is the home of Baghdad International Airport (SDA), which is a 30-minute drive from the city centre. Baghdad International Airport serves many airlines, including Qatar Airways, Emirates, Gulf Air and flydubai. Popular international flights depart from Cape Town and Johannesburg. The flight duration from Johannesburg to Baghdad is approximately 11 hours and 55 minutes. 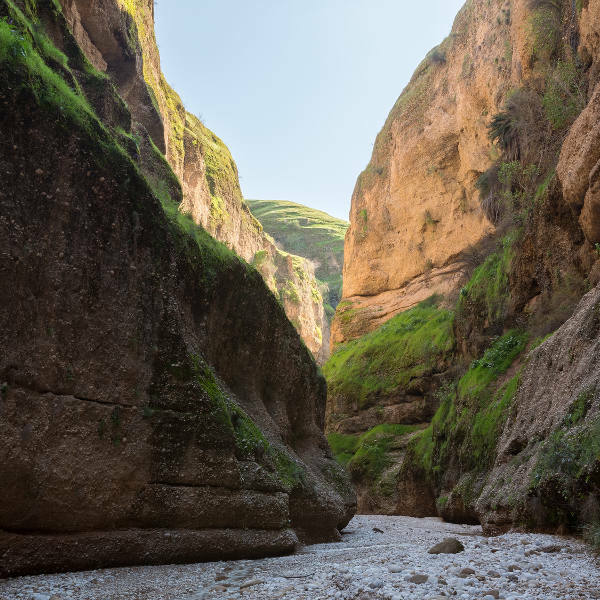 Iraq’s topography includes magical mountainous peaks which afford nature lovers a once in a lifetime opportunity to trek through geological gems. The 1,500 km long Zagros Mountains make up the largest mountain range in the Kurdish region. 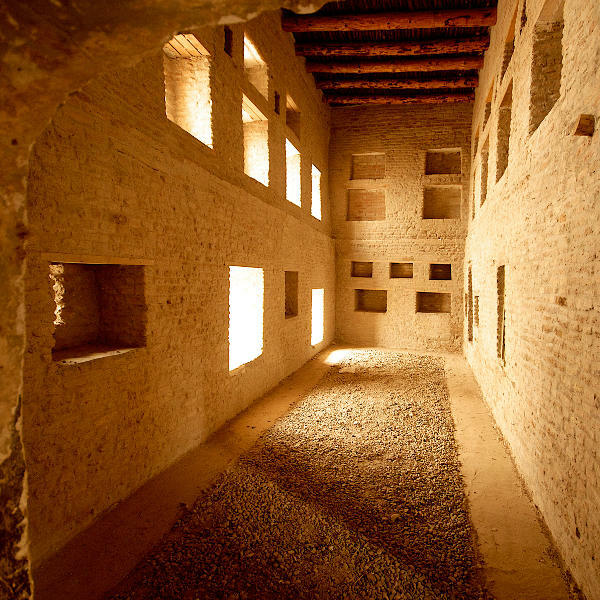 Iraq boasts breath-taking landmarks that transcend modernity, giving you a glimpse into ancient times. The Hatra Ruins, Aqar Quf, and mosques are quite a spectacle to see, while the National Museum of Iraq is home to precious relics from ancient civilisations. Babylon was a kingdom in ancient Mesopotamia, which holds much mystique and mystery. 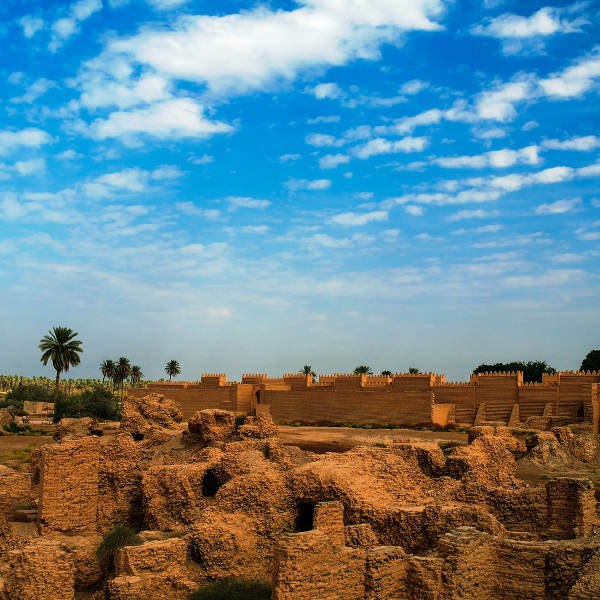 It is one of the world’s lost cities, located about 94 km southwest of Baghdad. So much history of the world and our existence can be traced back to Babylon. Iraq has a hot, dry climate with lengthy, blistering, dry summers, and short, cool winters. Nasiriya is the warmest city in the country while the coldest is Mosul. During summer (June – August), temperatures are frequently above 40 degrees Celsius. Remember to stay hydrated if you’re planning on visiting during this sweltering time. For comfortable weather in Iraq, the best time to visit is during the months of April, May and October, when the weather is much cooler. Wandering the landscapes of Iraq offers an exclusive affair as you discover this West Asian country. It is a destination that emits intrinsic excitement as you journey through its ancient history with the awareness of its unstable present. Destinations where few, or even no foreigners, tend to visit will always prove to be the best encounters as you discover for yourself, without any bias. An alluring country it is indeed, with ancient sites such as Mesopotamia, Sumer and Assyria. For travellers seeking to journey back into humanity’s first traces of existence, Iraq is the best place to uncover this knowledge! Iraqi Kurdistan is considered safe for travellers to enter. It is a beautiful semi-autonomous region that is home to the most hospitable people. One of the most rewarding things about travelling is the interactions with the locals, and Iraqi Kurdistan shows how simplicity accelerates the joys of human interaction. Visit Erbil, one of the oldest inhabited cities. You’ll find beautiful alleyways in the old bazaar district and snack on delicious street food. Surrounded by the most breath-taking mountains, Iraqi Kurdistan is a surreal destination to trek. A transcending journey can be encountered through an indescribable climb of Mount Halgurd, which lies in the Zagros Mountains. It is a beautiful adventure which will encompass self-discovery and will gift you with a legendary story. Compare several airlines and book your cheap flights to Iraq online at Travelstart! South Africans travelling to Iraq require a visa to enter the country. You should ensure that your passport is valid for at least six months from your date of departure, and has at least two blank pages available for stamp entry. The Embassy of Iraq is situated in Pretoria. You should be up-to-date with all routine vaccines, including measles-mumps-rubella (MMR), diphtheria-tetanus-pertussis, varicella (chickenpox), polio, and your yearly flu shot. You are also encouraged to obtain vaccinations for hepatitis A, hepatitis B, typhoid and rabies. For many, the thought of travelling to Iraq might sound absurd, but with thorough research you are assured that it is possible to travel in areas of the country. Of course, the ever-present reality of conflict will influence your Iraq itinerary, but it is worth noting the beautiful reward of visiting this misunderstood destination. Travellers are encouraged to practice caution throughout their visit in Iraq. Iraqi Kurdistan and the southern provinces of Najaf, Karbala, Babil, Dhi Qar, Maysan and Basra are relatively safe places to explore.